Maybe after six films moviegoers would have guessed that the Rocky franchise was complete after Sylvester Stallone returned to the role for 2006’s Rocky Balboa. Here we are again with another film in the franchise, but this is considered more of a spinoff as we follow the offspring of Apollo Creed, Carl Weathers’ character in the first four films. His son, Adonis (Jordan), never knew his father who died before he was born. As a young kid, he spent many years in juvie getting into fight after fight until he was adopted. His foster mother Mary Anne (Rashad) was Apollo’s wife. Now as an adult, he has taken an interest in boxing, just like his father. The one stipulation is that he wants to make a name for himself outside of living in his father’s shadows. He moves to Philadelphia in hopes of tracking down Rocky Balboa (Sylvester) to be his trainer. Rocky has long since retired from the world of boxing and is now working at Adrian’s Restaurant. Adonis opens up about his past to Rocky but keeps his true identity a secret to the rest of the community. Rocky agrees to come out of retirement, and the boxers at the gym give Adonis the nickname “Hollywood” Donnie Johnson. After winning his first big fight, word travels fast that Donnie is Apollo Creed’s illegitimate son and the media circus begins. He gains the attention of world light heavyweight boxer “Pretty” Ricky Conlon from England. He approaches Donnie about being his final opponent before starting his forced retirement due to his upcoming jail sentence. I admit that this is a franchise I know very a little about. I saw the first film years ago, but I’ve never taken the time to do a full marathon. 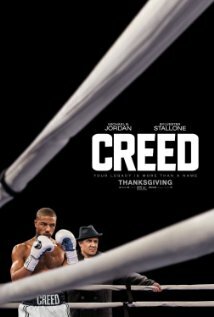 Creed is the seventh film in the series, and unlike many long drawn out franchises, this one feels fresh and rejuvenated. Ryan Coogler, who wrote and directed the gut-wrenching Fruitvale Station, approached Stallone about taking over creative duties. Coogler wisely keeps this film within the world of Rocky Balboa and the characters that have come before. There are references to his wife Adrian and her brother Paulie Pennino and has Donnie training at Rocky’s old gym, Mighty Mickey’s. There’s a really touching scene with Rocky visiting the graves of Adrian and Paulie. Coogler treats the character of Rocky Balboa as an integral part of this story instead being used as a gimmick to bring in an audience base. At this point, Rocky is retired, weathered, and aged. Coogler wisely knows not to pretend like he still young and active in the ring. We already saw Stallone try to do this in Grudge Match. Stallone does really impressive work by taking on this version of his beloved character. He feels right at home again with Rocky who’s now in the mentor/father figure role for Donnie. This has been the first time in awhile that I felt like I was watching Sly the Actor versus Sly the Persona. Creed sets out to be more than your average boxing film. Coogler explores the idea of self-identification and legacy. Donnie wants to be his own person and prove that he’s more than a stereotype and more than just being Creed’s son. He could have been a product of his environment, but Coogler gives him admirable qualities instead of turning him into a burnout cliché. He has confidence and drive to be the person he wants to become. Coogler takes time to show Donnie’s life outside of the ring. He has a good relationship with his mother, and becomes romantically involved with a singer/songwriter (Thompson). Michael B. Jordan had a big flop on his hands earlier this year with the reboot of Fantastic Four. I don’t blame him, but it could have been a good blockbuster for him. Thankfully Creed is a knock-out for him so he can easily move passed that summer debacle. He first made a name for himself in television shows like “The Wire”, “Friday Night Lights” and “Parenthood”. He reteams with Coogler who directed him in Fruitvale Station. It’s a strong partnership with both films showcasing the talents of each one of them. Jordan is superb because he’s not trying too hard. He’s a natural young actor who trusts his script and director. He isn’t trying to make Donnie someone that he isn’t or trying to prove himself as an actor. He brings out his natural sense of humor and vulnerabilities to make Donnie a likeable character. I don’t think many people would have expected the seventh film in the Rocky franchise would turn out so strong. Coogler made all of the right decisions in taking a new-ish approach while staying true to the original classic. Rocky was nominated for ten Oscars and won three including Best Picture. 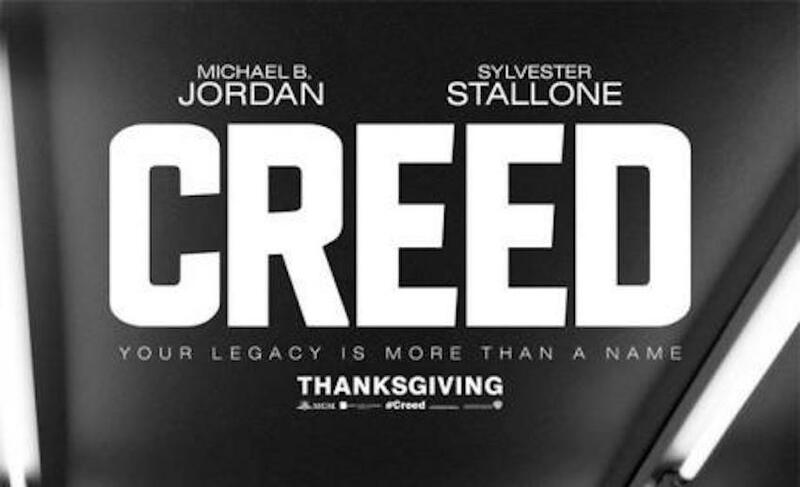 I don’t think Creed will have the same results, but it’s a strong entry nonetheless. This film makes me want to dive into the rest of the franchise and see what I’ve been missing out on. Creed successfully passes the torch from one great boxer to the next. I’ve been a big fan of Jordan’s for quite some time now, and I hope we continue to see more collaboration between him and Ryan Coogler whether it’s another Creed film or not. Is It Worth Your Trip to the Movies? Don’t worry if you haven’t seen the Rocky movies, Creed is enjoyable all on its own.